It’s only a month a way, that holiday that we all celebrate but really don’t know the meaning of. This year won’t be any different; we’re going to wake up, question the meaning of the holiday for only a second before diving into the alcohol-infused celebrations. Though we may not be 100% aware of why we celebrate it, Labor Day is a day of BBQ’s that typically mark the end of summer. Here in Vegas, Labor Day boasts an entire weekend filled with exciting parties, celebrity appearances, and enough alcohol to drown an entire city. The festivities start Thursday evening and run straight on through to Monday morning. Being at the tail end of the summer, you’d probably expect pools to be closed; but Sin City’s outdoor entertainment are still running strong. You’ll want to check out Marquee Dayclub’s bash hosted by Benny Benassi or the extravaganza at Rehab featuring Jason Derula, both on Saturday, 08/30. The desert sun is still shining, so you can expect to have to still wear your bathing suit. 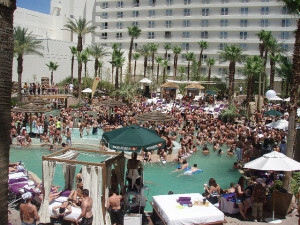 Daylight at Mandalay Bay will be home to Alesso Labor’s own Labor Day celebration. 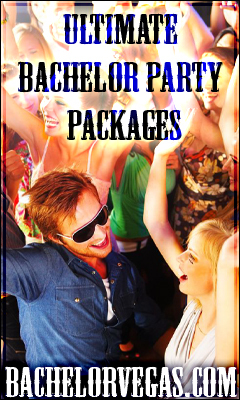 You’ll be surprised as to how fast these events fill up, so you definitely want to make use of our VIP services. Rent a bungalow or cabana to get immediate access to these Labor Day events and treat yourself to the best VIP experience you’ll ever have. Surely, being Labor Day Weekend and knowing that the summer is not far from over, you want to enjoy as much of it as possible while the sun is still shining; but if you dont’ save some of your energy for the nightlife, you’re going to be missing out on some truly amazing parties. Nightclubs up and down the Strip are going to be hosting unforgettable Labor Day Weekend parties, so how do you choose which one is best for you? One method involves a dartboard, and no matter where it lands you’re going to be guaranteed an amazing Labor Day Weekend. With musical talents like Snoop Dogg fueling the bash at TAO and Kaskade at Marquee, Labor Day Weekend is bound to be one of the best the city has ever seen. Like the pool parties, you’re going to want to spring for VIP service. For a look at all Labor Day Weekend events and how you can get immediate access, a VIP host, and a bottle of premium liquor, check out our Labor Day Weekend guide. You’ll learn the ins-and-outs of partying during Labor Day Weekend and will find out how to go about getting the VIP treatment. Here’s a tip for you – if you don’t spring for VIP treatment during a holiday weekend like Labor Day Weekend, you’re going to be partying alone in your hotel room. These events book up quick, so call today before it’s too late and you’re stuck enjoying the festivities from afar. 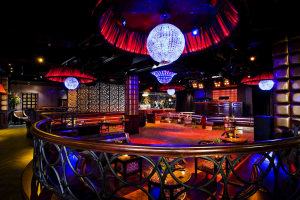 This entry was posted in Events, Las Vegas, Nightlife. Bookmark the permalink.